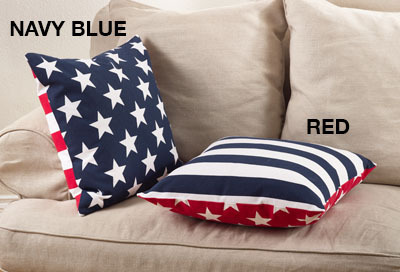 American flag pillows for the patriotic home décor. Stars on one side, stripes on the other side. Pillow inserts included.